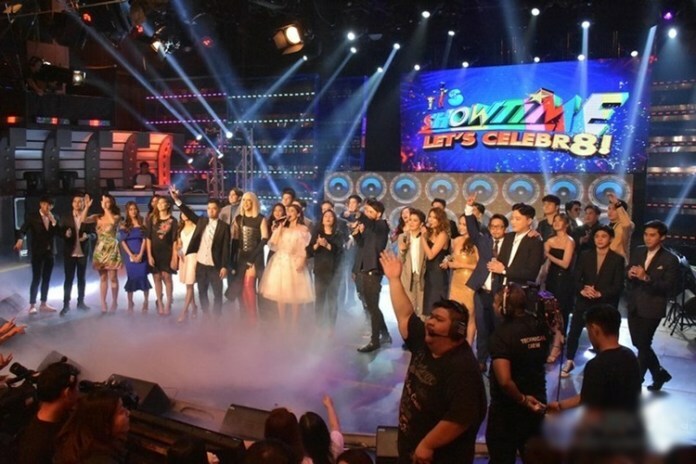 Aside from the talent competition, Showtime also aired quick, short-term segments that offer cash prizes to the studio audience. On January 1, 2011, the show was moved to the noontime slot temporarily. It returned to its original time slot on February 12, 2011, to give way for Happy Yipee Yehey!. 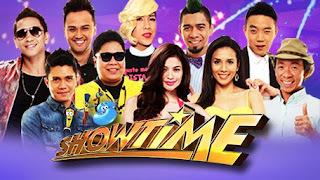 On January 28, 2012, the show aired a special episode to end its two-year competition format as Showtime, and ended with an impartial farewell. On February 6, 2012, it is reformatted as a noontime variety show. It's Showtime was also aired previously on Studio 23 (now ABS-CBN Sports and Action) and CgeTV's website during its relaunch week. Amy Perez and Mariel Rodriguez were added to the show's main hosts on January 2, 2016, after guest co-hosting in December 2015. Coleen Garcia was dropped from the program because of her acting career and was briefly replaced by Joey Marquez. Meanwhile, Eric "Eruption" Tai left the show to focus on his sports career and married life. Jhong Hilario temporarily left the show on March 23, 2016 to run for councilor in Makati City; he reprised his hosting duties on May 10, 2016. On May 13, 2017, the show announced that James Reid and Nadine Lustre were added to the show as co-hosts for a brief period of time. Mariel Rodriguez returned on June 18, 2018 after a two-year-long break.